Our first all day event featuring workshops, ecstatic dance, drums, fire, live performances, healers, vendors, artists and food! Full festival ticket (12 - 11pm) $25 in advance, $30 at the door. If you are interested in volunteering for free admission, fill out this form. DOUM SOUND - Coming at you straight out of Chicago with positive healing vibrations through psychedelic soundscapes, dance grooves and the power of the word, we bring the good medicine in the magic of music. As the rhythm pulsates from the sound of the drums, we spread the message of universal love and unity. Our music lives in the present, with respect to the roots, and is heading to the future. A sonic revolution for your mind, body, and soul. 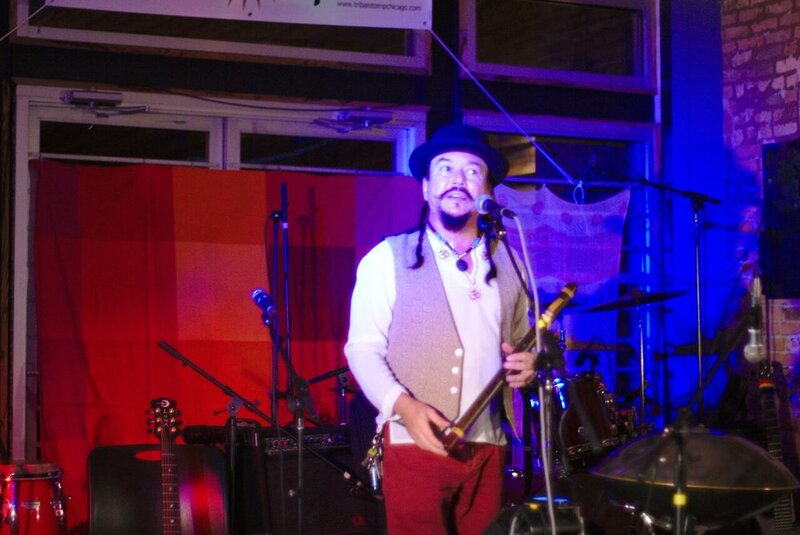 RANDY GRANGER fuses ancient Native American and world flutes, world percussion, vocals, guitar and the ethereal and mesmerizing Handpan into a Southwest World style of music. An award-winning recording and touring musician his music is heard worldwide and NPR, Hearts of Space, Sirius Soundscape, IHeartRadio, Pandora, Youtube and on podcasts and radio. 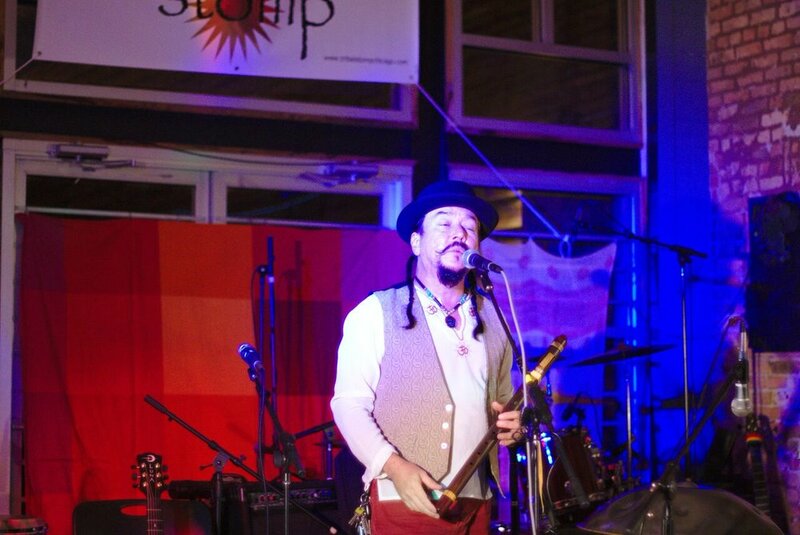 A New Mexico native, his ancestry is reflected in the spirituality of his music, which CDBaby said was “filled with an incredible stillness in every song.” Randy headlines festivals and performs house concerts, in solo shows as well as a sought after flute teacher and workshop leader. ELLEN DANCER has been studying and teaching belly dance for over 15 years. She fuses elements of hip hop, modern and Middle Eastern dance to create a unique and honest style that reflects her life's journey. Her energy is infectious and she loves connecting to people through dance. Ellen teaches out of Arabesque dance studio in Chicago and directs the fusion dance company Venus Vibrations. Ellen describes her obsession with belly dance "as a holistic way of relating to the body by increasing awareness on all levels: physical, mental, and sensual. But mostly, I just love to dance." 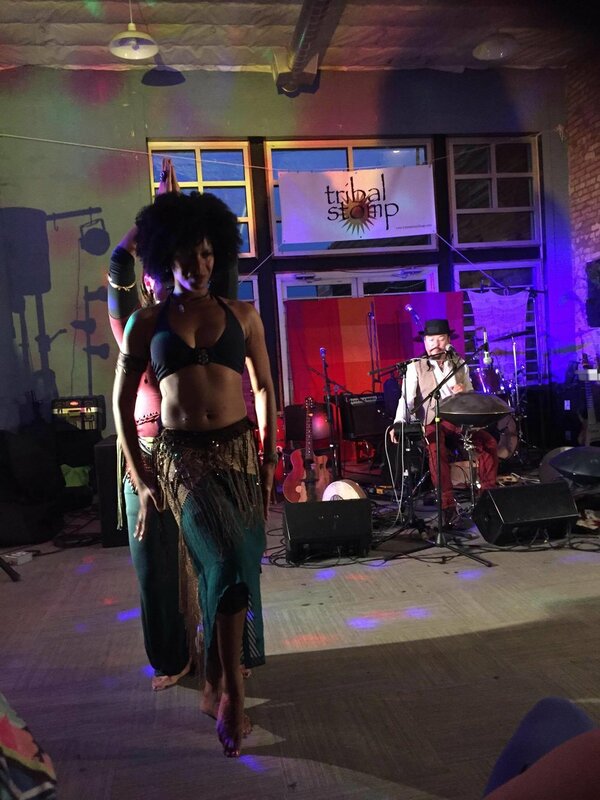 TIFFANY RENEE is a Chicago based belly dancer & instructor, Urban Medicine Woman, & life-long musician who stumbled into Middle Eastern dance 14 years ago. She is a huge fan of jazz, funk, & soul and brings that influence to most of her performances. She has trained within the disciplines of Middle Eastern Dance, Esoteric Energywork, Tai Chi, meditation, and various forms of East Asian Medicine. RADIA ALI and AUDREY HERRINGTON - Radia grew up between South East Asia, UK, and US, and is currently based in Chicago. She is trained in classical Indian, Persian and Turkish dances as well as Samba, Tango and Flamenco. 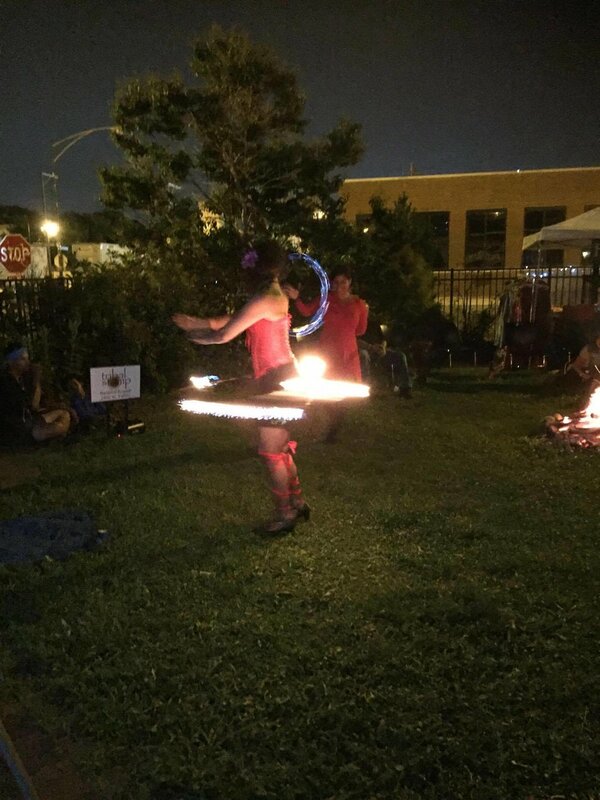 Her personal style is fusion choreography with fire props. Audrey is a movement artist who dances to the beat of her own drum. While she is trained in many dance techniques, her style has always been distinct. Her super power is her dance, and she radiates, allowing the light to move through her, as free expression and divine inspiration become her. 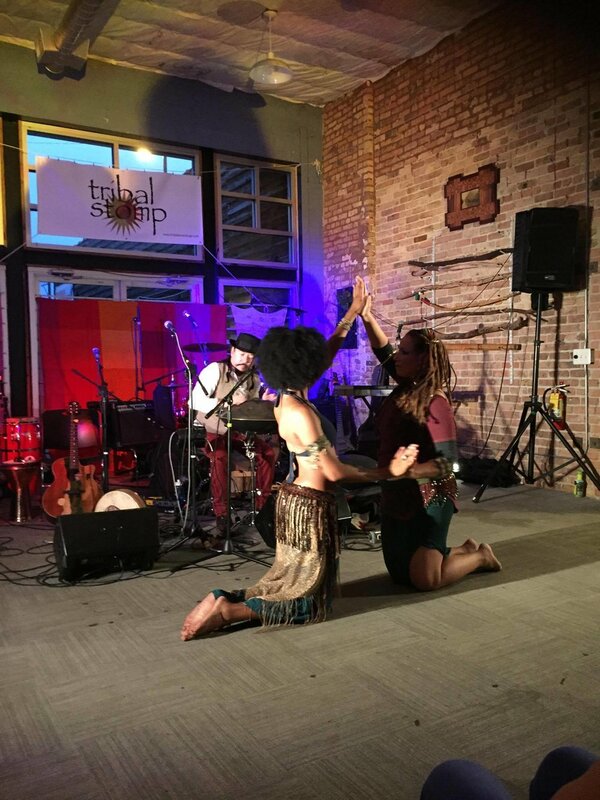 AFRICAN FUSION DANCE PROJECT is a collaboration of traditional dance and drumming artists who perform exhilarating dance to the drums of West Africa. SECRETS OF THE BEEHIVE is an evolving collaboration of musicians dedicated to exploring the hidden soundscapes of spirit. Founded and directed by percussionist and songwriter Jason Winslade, they perform a combination of original music, covers and improvisational jams with a tribal vibe. 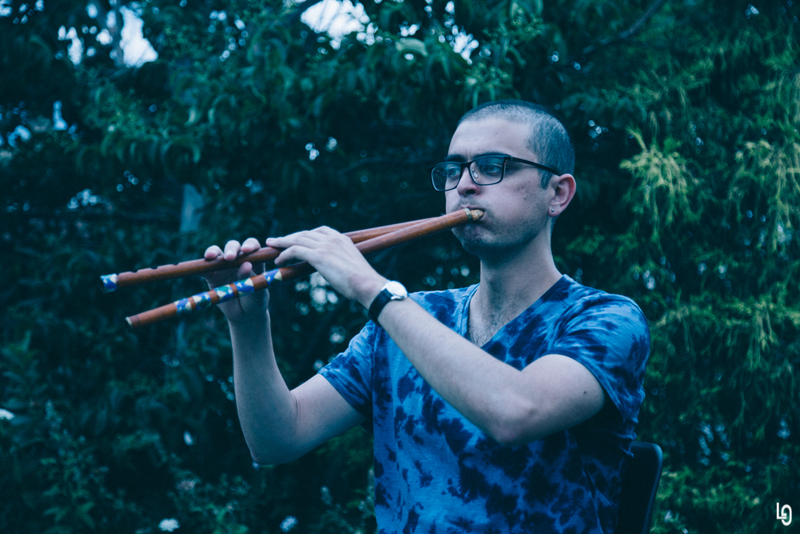 DENNIS FREDERICK'S FLUTETOPIA will take you on a sound journey with Native American flute and percussion. 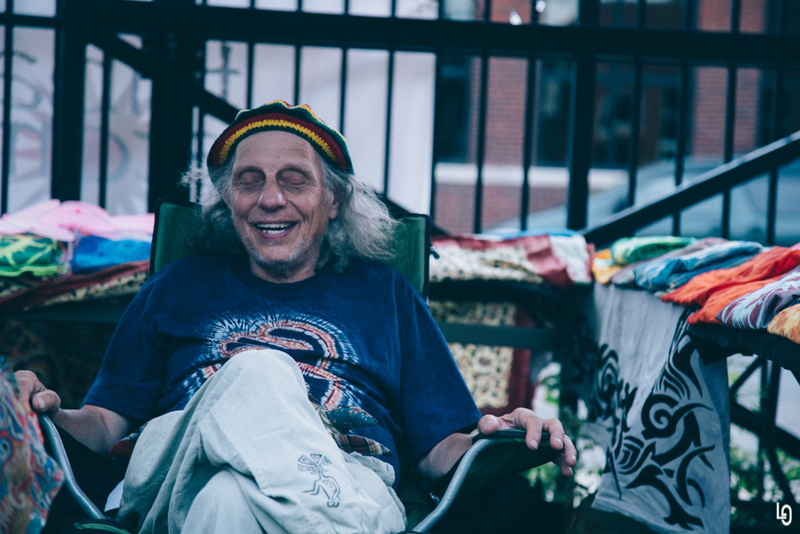 Dennis Frederick has played his flutes at many festivals and events including Chi Ka Go, Ecstatic Dance, Consciousness Rising, 1000 Goddess Gathering, Bims Birthday Bash, Michigan Peace Fest, Darkening of The Sun Fest, Be Juice'd and more. 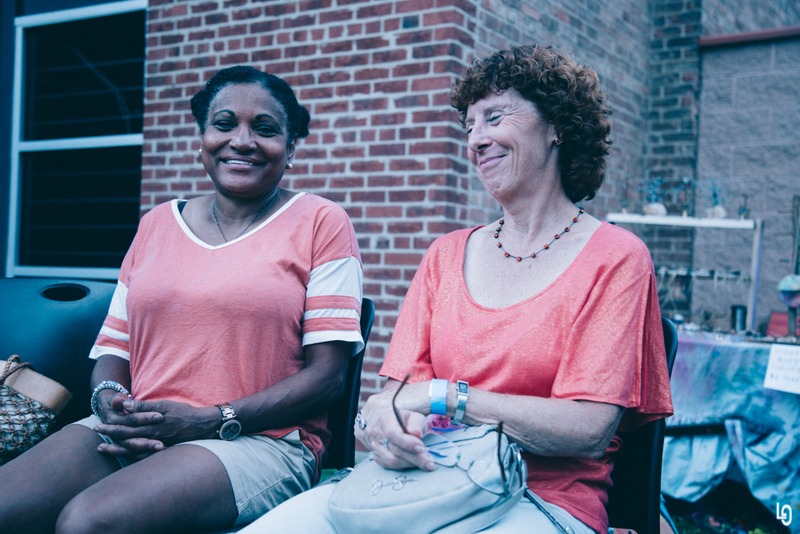 VICTORIA KRUSZEWSKI has been playing mbira dzavidimu for the past 17 years. She studied mbira at the University of Illinois at Urbana-Champaign back in 2000 when first hearing of the instrument in Professor Thomas Turino’s world music class. After graduation, and owning a mbira instrument, she studied with Erica Azim in Berkeley CA for summer camps in 2004 and 2005. She also studied with Chris Mhlanga, Renold and Caution Shonhai, Forward Kwenda, Musekiwa Chingodza, Patience Chaitezvi, Cosmos Magaya, Tendai Maparutsa, Garadziva Chigamba and Julia Chigamba at Zimfests 2010 and 2011. She has three albums available, Tamba mbira, Healing Vibes and Tovera. Fundamentals of Freeform Movement with Daniel Mollner (12-1pm Main Room). This powerful one hour class will teach you how to access spontaneous and deeply satisfying movement on the dance floor. Learn to activate your creative inspiration, tap into it, and move freely. 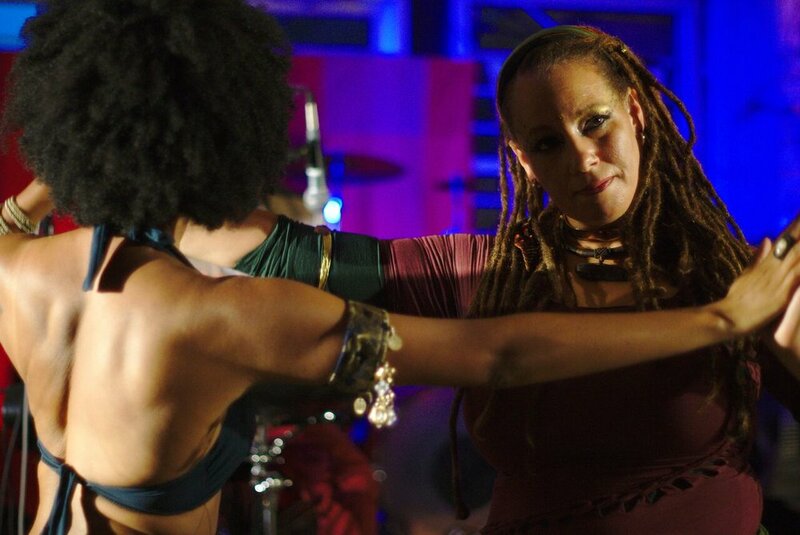 More pleasure, more confidence, more depth, and more connection are all possible in your dance journey. 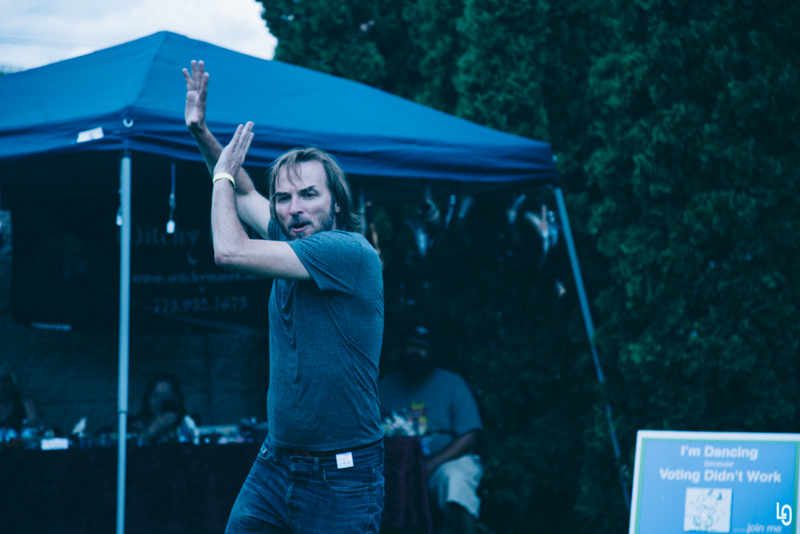 Daniel Mollner - For the past decade and a half, Daniel has combined his passion for dance and music with his Masters Degree in Education to provide potent experiential containers for embodiment. 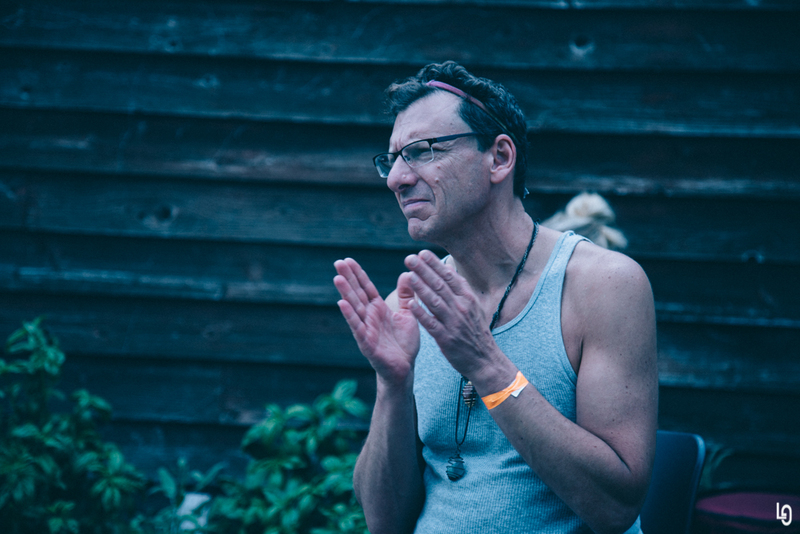 He is the cofounder of Contact University, Ecstatic Dance Santa Cruz, and the National Ecstatic Dance Bus Tour. He deejays, teaches and facilitates internationally and is based in Santa Cruz, CA. 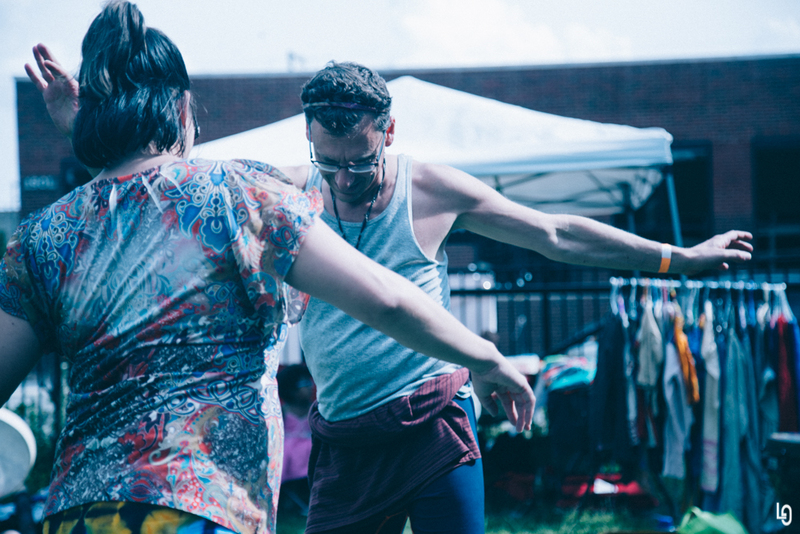 Ecstatic Dance is a free form movement space, that is held on a conversation free dance floor, and is guided by a musical sound track that shifts in tempo and mood. On the dance floor, participants are invited to express themselves how ever they wish, whether dancing alone, with someone, or with a group. Guidelines for inviting dances, dancing solo, and ending dances on a non verbal dance floor are offered to and are upheld by all participants. The music inspires all types of movement by starting out slow and meditative, building to a peak, and gently rolling down back into slow and meditative. 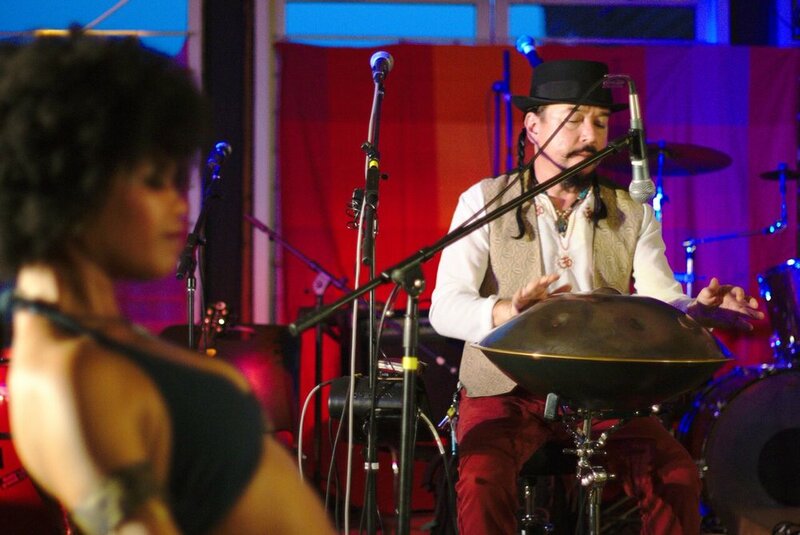 A relaxing sound bath of gong, didgeridoo, or voice concludes the experience. 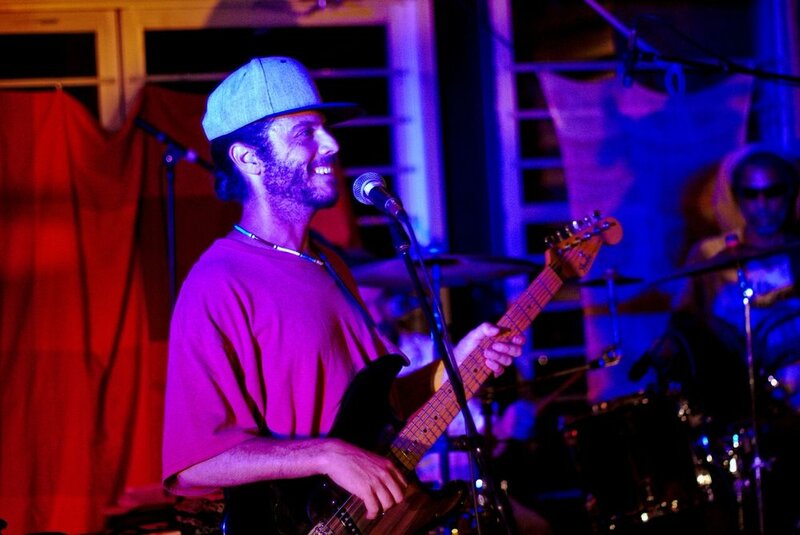 Raj Inder Dhillon has been spinning sacred psychedelic worldbeat music since 2007. She spent the last decade playing at electronic music events and festivals, bringing her unique style of weaving the traditional music of Eastern and indigenous cultures with electronic dance music to venues across the continental United States. She fell in love with Ecstatic Dance in 2010 and became eager to bring the practice to her hometown of Milwaukee, Wisconsin. 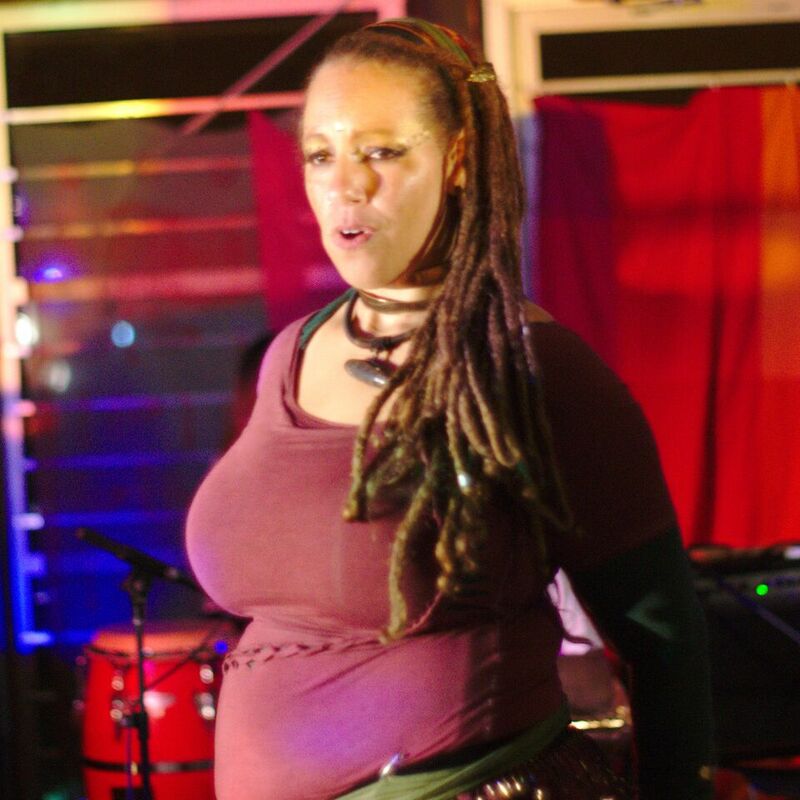 She founded Ecstatic Dance Milwaukee in early 2016 and quickly completed Ecstatic Dance Leadership training with the founders of Ecstatic Dance Oakland. Her passion is for creating sacred dance journeys through bridging traditional and modern dance music; to offer her hometown a sonic space for healing, free and authentic expression, and fun! She continues to expand the Ecstatic Dance community, and to spread her love for Ecstatic Dance across the US. Experiencing Amritaji's Ecstatic Dance sets will get your body and soul grooving! Daniel Mollner is the DJ and facilitator for Ecstatic Dance Santa Cruz. For the past decade and a half, he has been creating conscious dance journeys that inspire deep connection to self, other, and creative source. He regularly travels the US and beyond to DJ, facilitate, and teach other DJs about the conscious dance experience. Taking care of common aches and pains that result from furious dancing is easy! You may not even have to leave the dance floor. This warm and inviting workshop will offer you easy to learn massage postures to help each other feel good in the body, and cultivate a deeper connection to nurturing touch. A system of compression with the feet and hands, and assisted stretches will dispel pain and tension in the low back, hips, thighs, knees, and ankles. Please wear unrestrictive clothing that you can rest on the ground in, and bring a blanket or a yoga mat for extra support. You can come along with a partner, or come alone. Everyone of all skill levels is welcome! Roman’s purpose is to create a joyful and nurturing world. Excelling in teaching Thai Massage, he invites participants to cultivate deep listening, peace of mind, and joy of living in the body. His easy to follow instruction, and inviting workshop atmosphere offer invaluable skills to newcomers and experts alike. In this workshop, kids will learn a traditional drum rhythm to understand how they are communicating with each other and not just banging on a drum. Then we will break the rhythm into its different pieces so they can explore their own unique rhythms as well as build the confidence to solo. 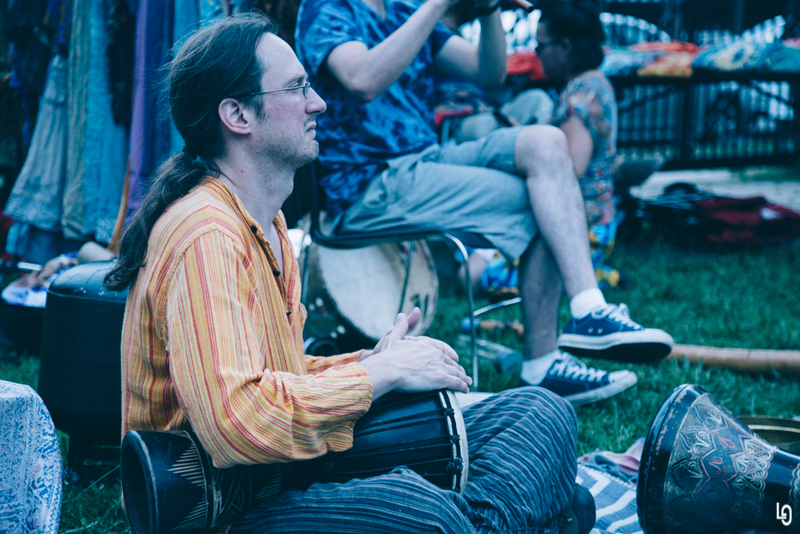 One Love Drum Circle as a welcoming space to explore the language of drumming and free expression welcoming all instruments and movement. 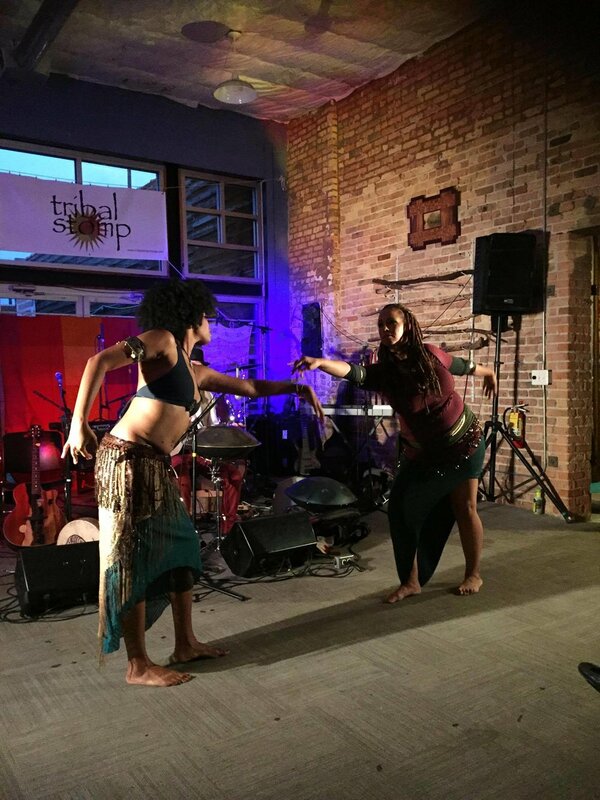 E'a Williams is a holistic Artist and A naturally gifted and a trained dancer from Ballroom to Belly Dance who currently partners with CPS, Chicago Human Rhythm Project, Chicago Ballet, I Grow Chicago & Old School Town of music. 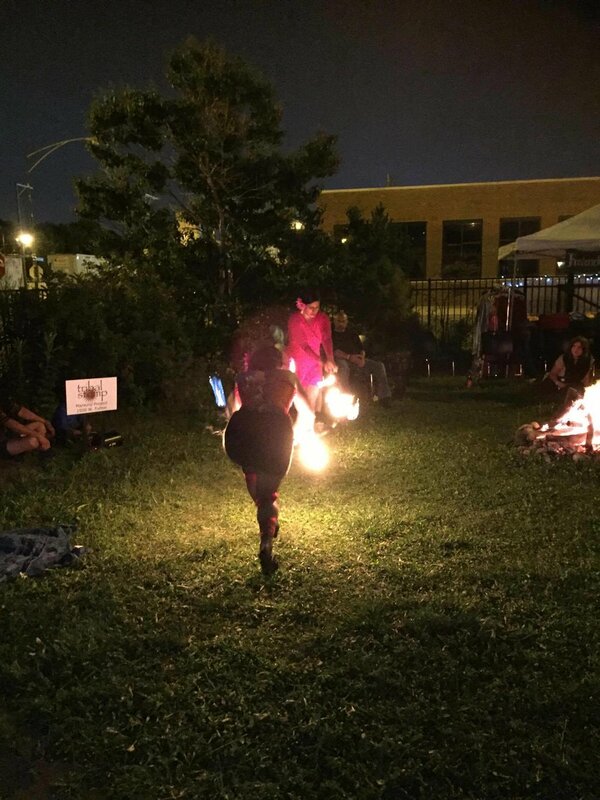 She utilizes dance, gardening, yoga and drumming to revitalize and build underserved communities around the Chicago metro area. 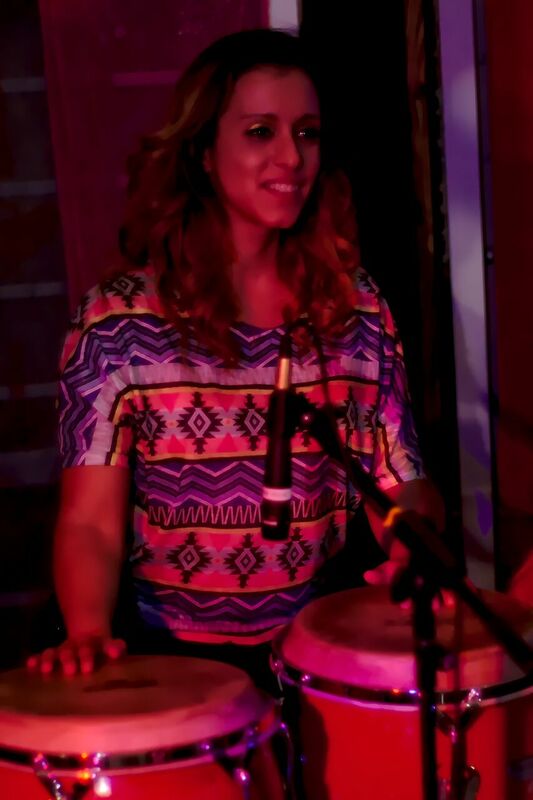 She is Also a self taught percussionist who performs with African fusion dance project. 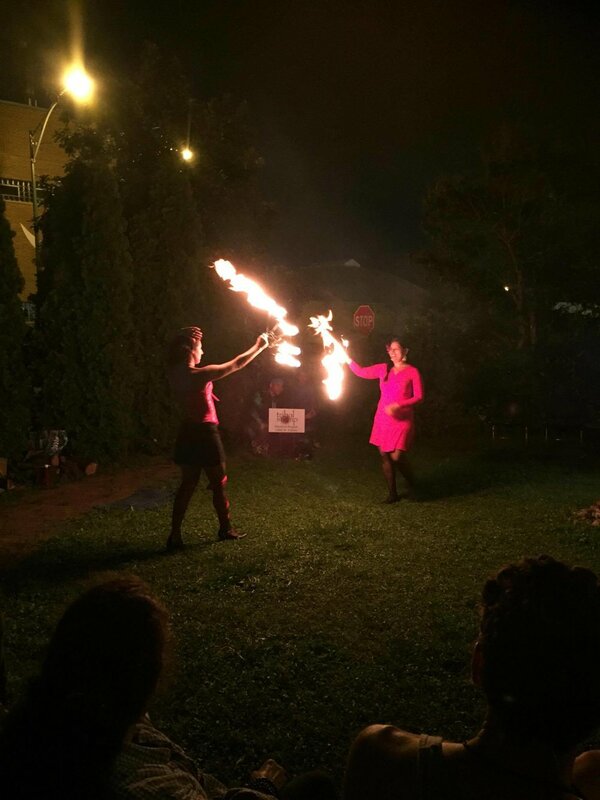 experience the world through dance including balkan, latin, slavic styles and more. for kids of all ages. Altin Naska is an internationally known award winning choreographer, dancer, and master teacher, with over two decades of performing experience in Europe and the United States. Mr. Naska is recognized for his fusion of ballet and modern techniques and has taken part in numerous groundbreaking collaborations with local and international artists. He has taught master classes and workshops all over the world and U.S. Mr. Naska is the Director of the Dance Chicago International Exchange program, Director of Dance Chicago New Talent Workshop and Performance Showcase, Artistic Director of Chicago Dance Theatre, and Co - Founder / Artistic Director of Southport Performing Arts Conservatory & Entertainment (SPACE). A female identified circle for creating meaningful ritual together and sharing and supporting each other towards walking fully in our Goddess paths. If you wish, bring an object, gift, picture etc that speaks to you for our ritual altar. Erin Stardust is a licensed massage therapist with a masters degree in Wholistic Wellness and Herbology. She holds numerous certifications in hands on and energetic healing and is a trained Midwifery Assistant, Lactation consultant, birth and postpartum Doula. The majority of her work over the past 10 years has focused on women's health, pelvic pain, fertility and Postpartum recovery. erin has enjoyed creating many rituals for herself and others including mother blessings and baby welcoming and couples commitment ceremonies. 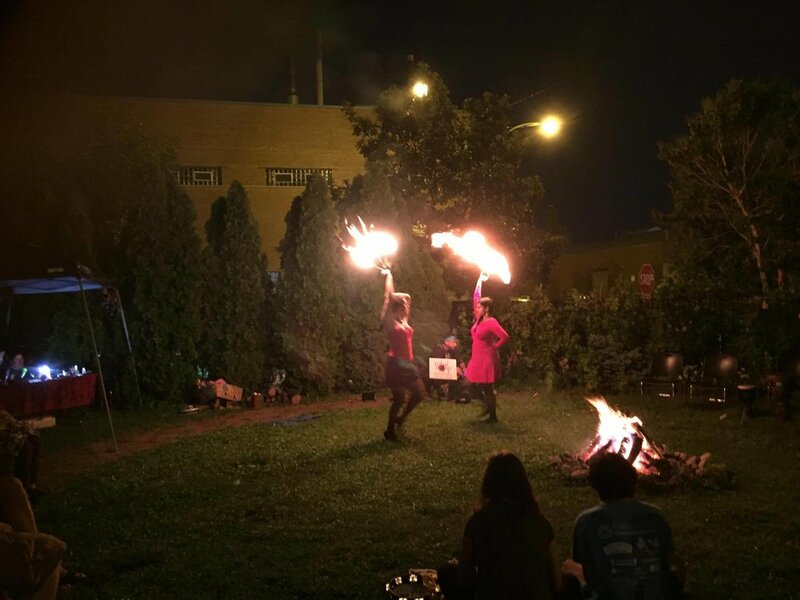 Erin is one of the co-organizers of tribal stomp chicago along with her partner, Jason Winslade. 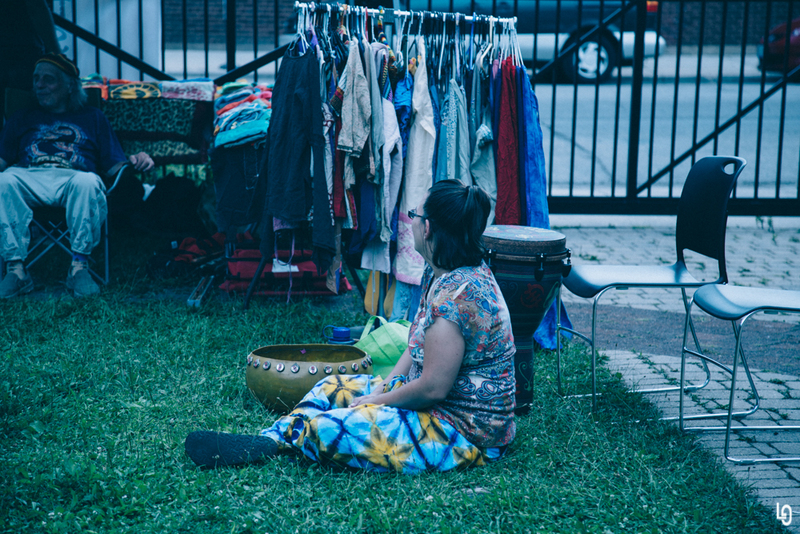 Drum Fundamentals with Jen Halman (5-6pm Outdoor Fire Circle). this workshop will introduce you to djembe, drum beats and sounds to play in any drum circle!!! This definitely will warm you up and get you into a groove to play rhythms and express yourself as well!! JEN HALMAN started dancing at six years old at Loyola Parkhouse in Rogers Park. She fell in love with both dance and Lake Michigan, which will forever be her home. After teaching science for eight years in Humboldt Park and raising her 4 eldest children, Jen started working on her interdisciplinary arts degree at Columbia College in Chicago. She combined her love for all of the arts, theater, dance, poetry, visual and music with a new found love of West African rhythm. In 2003 she was chosen to travel the Amazon River, while teaching an online course about the destruction of the rainforest. The natives of Peru brought her to a traditional drum and dance ritual where she felt initiated into tribal dancing. Today she writes poetry, dances, choreographs, performs, leads drumming circles, and teaches for CAF. Her love for the sound of the drum is a part of her. It is her church, her spiritual path, and her passion. My flow workshop is going to cover basic fire safety rules, the art of letting the body flow in rhythm with drums/ acoustic music, introducing fire props with some historical perspective on where fire play began, basic movements for using fire fans and fire swords and hoops (students will not be touching fire or fuel at any time), ending with salutation to the elements, and hopefully sparking a new appreciation for the way in which Fire has been used as a sacred art form. Radia Ali seeks to spread awareness of different cultures and ideas through dance. Her sincere hope is that her choreography will spark curiosity, and expose people to the different ways in which humans connect through Movement and Rhythm globally! This beginners bellydance workshop is an inspiring combination of fun music and Middle Eastern Dance! Reconnect to your root-core center by learning Tiffany Renee's foundational techniques, skills & drills, & musicality. Expect shimmies, careful isolations, and elegant combinations/choreography! 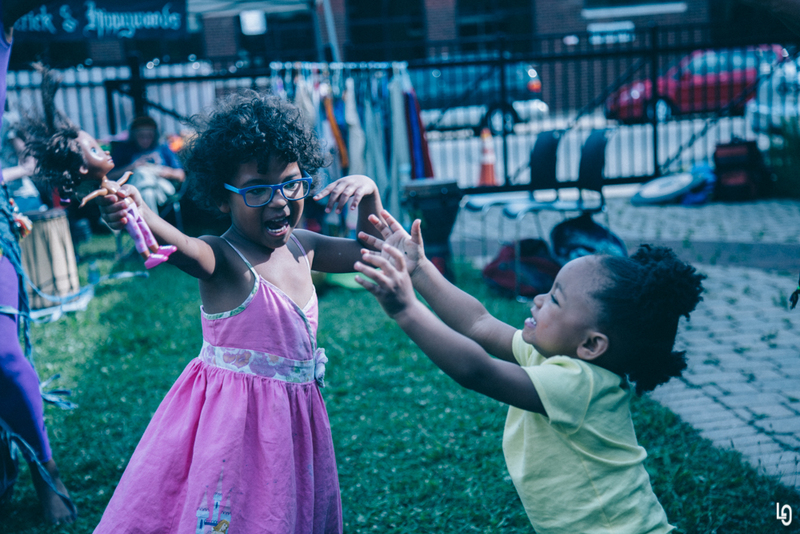 Tiffany Renee creates a safe space for all of her students to learn to dance, trust their bodies, and reconnect with the spirit of Having Fun! Let’s gather for a Sacred Singing & Sound Circle to share an interactive, co-creative, vocal sounding! Together we'll allow ourselves to harmonize and clear energy through toning, singing and opening our voices and hearts. We'll first relax into a sacred chill space, as we open with a gongscape meditation, before gathering and raising energy to open our voice channel. Then we’ll let it flow and grow as an organic harmonic choir for accessing celestial energies. Shamanic invocation, ritual and sharing will help to create a deep circle of connection. Guaranteed to be connecting and shifting, with overtones of joyful fun! Shanti (Wendy Warnimont) has been a sacred space holder of the shamanic creative healing arts since 1990. As a lover of mantra, sacred music, meditation and ecstatic states, Shanti’s passion is to be an open channel for catalyzing awareness into its next expression. Shanti specializes in practices that move energies through the body and the voice to create a deep connection to self and source. Some of Shanti’s teachers include: Tantic Yoga of Sound Master Russill Paul, Incan Shaman Alberto Villoldo, Hawaiin Shaman Serg King, Sufi Master Adnan Sarhan, Meditation Mystic Osho, Hindustani Vocalist Rajiv Kumar Malik Rajnain, Dancing Shaman Gabriel Roth, as well as many other kirtan wallahs and wise beings in the Buddhist tradition. Currently Shanti is focused on recording an album and sharing experiences with her kirtan and sacred music ensemble Ananda Lila. Sound, music, and vibration empower us to connect deeper within our own selves and to communicate more authentically with others. In a world with nearly 7,000 languages, energy and sound continue to be the oldest and most universal form of communication. 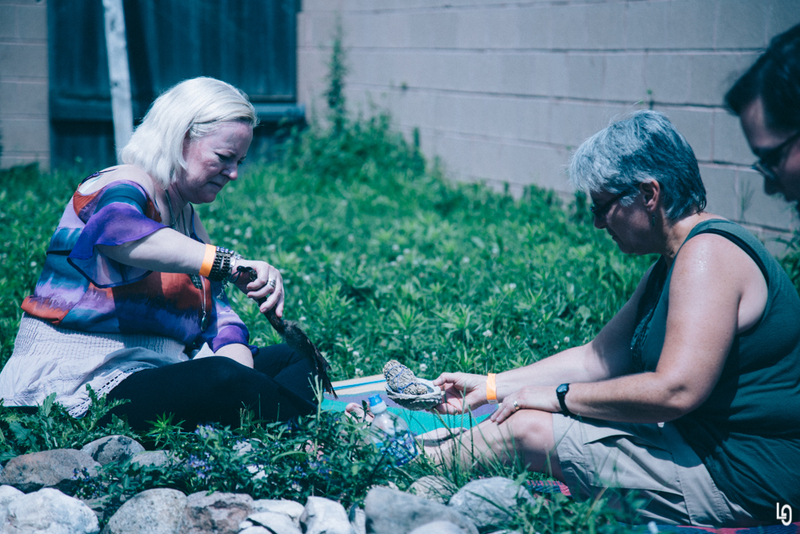 In this workshop, we will explore the healing power of sound through a guided sound healing meditation, an interactive discussion about sound healing in various cultures, and a Shamanic Journey to retrieve a power instrument or sacred sound that you’ll be able to use on your journey. Kevyn Mourning Dove is the Executive Director and Founder of Courageous Living, a natural healing, holistic counseling, and therapeutic arts center dedicated to restorative well-being and integrative health. Kevyn is a Reiki Master Teacher, 2-Spirit First-Nations Healer and Kahuna, MSW candidate, Ordained Universalist Minister, Intuitive Medium, and Hawaiian Temple Bodywork, Lomi-Lomi, and Ho’oponopono Practitioner. Kevyn has an extensive background in Indigenous healing practices, death and dying education and Midwifery, hospice and palliative care, spiritual counseling, Native Shamanism, music performance and education, and LGBTQ+ youth services. 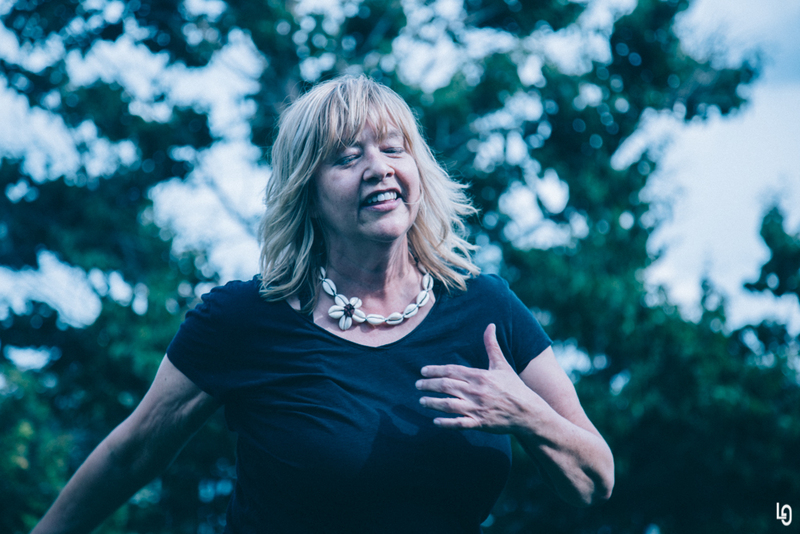 Kevyn has collaborated with a diverse group of world-renowned Healers, Mediums, and Teachers and has even communed with Great Spirit in 'Ohe'o Gulch and on the summit of Mount Haleakala in Maui, Hawaii. A self-described "idea machine," Esther is a "self-taught artist on the verge of spontaneous combustion." She explores themes of connection, living beyond the confines of the body and the illusions of life, and grounding and growing the spirit. Her work contains folk art and mystic and abstract elements. Her experiences living in various countries find a place in her art work and contribute to the themes of connection she explores. Up until recently, her work remained private, previously confined to about a decade's worth of "sketch diaries" and home murals. Tiffany Renee is an Urban Medicine Woman specializing in lightwork & herbalism with a focus in women's health, autoimmune & chronic illness, and life transitions. Vivien Joy Lamadrid, RN, CCRN, CAPA, CPAN, HTP, Holistic Nurse and Healing Touch practitioner. Healing Touch ( Energy Healing ) Benefits: Reduces emotional and physical pain, reduces anxiety, relieves stress and depression, provides support for health challenges, strengthens the immune system, creates a sense of well-being, reduces effects of trauma and chronic pain, enhances recovery from surgery, provides support during chemotherapy, deepens spiritual connection and more. Lorena Elizabeth/Eye of Destiny is a Professional Psychic, Tarot Reader, and Priestess with over 20 years of experience and practical application. Raised in the Southern traditions of Folk Magic and Spiritualism, her focus is inspiring positive and transformational change through direct yet compassionate spiritual counsel, practical application of metaphysical technology, and abundance manifestation. Shiatsu works by the innate healing properties of touch and human contact. With touch we bring light to the spaces in the mindbody where you are bound for dynamic healing and transformation. Shiatsu is gentle and guided by empathy - as a receiver you are not made to change, but supported in making your own natural changes and becoming your truest self. It is with love and dedication that I practice Shiatsu, each time a joy and honor to be a part of your wellness and self care. If you have issues with sleep or digestion, joint or muscle aches/pains, anxiety or phobias, or are recovering from trauma, please come see me! Kevyn will be providing Sacred Hawaiian Energywork, Reiki, and Sound Healing sessions. The Cultured Vegan, a family owned plant-based full service catering and personal chef services company, has been offering traditional ethnic dining with a health conscious twist for over two decades. All meals served are 100% vegan, with a focus on gluten-free, soy-free, low sodium, and diabetic-friendly options. Our specialty includes veganizing your favorite global cuisine with a focus on African, Asian-fusion, Caribbean, Indian, Mediterranean and Latin. In addition to our delectable food, we offer a full smoothie bar and fresh juices and natural drinks. The Cultured Vegan also offers food demos, vegan lifestyle coaching, cooking classes and instruction, a youth culinary program, and vending for events. AT Tribal Stomp, we will be offering vegan jerk lentil and veggie "beef" nacho bowls and tacos, Chocolate chip & Oatmeal raisin cookies, fruit cups, Trail mix, Fruit Smoothies and Acai Berry Chill. Vending from 12 to 5. In 1943,Luella Funches moved to Chicago from Morgan City Mississippi, bringing her southern roots with her including her flare in the kitchen. Her great grandson, chef Darnell Reed, grew up in her kitchen, where she taught him how to make Cornbread and Gumbo, among other things. Today he can express his life experiences through his food at Luella's Southern Kitchen, located in Lincoln Square, where you can enjoy the cuisine of the South, with flavors of New Orleans, Charleston and Georgia. To be In Spirit is to be Inspired. I am inspired to create healing jewelry for people to adorn themselves. The supplies I use are mostly of the earth; crystals, stones, copper and silver wire, also polymer clay, & re-claimed jewelry parts. My jewelry features positive messages through words, the healing of essential oils through lava bead diffuser jewelry, the vibrational healing of the stones, the most ancient of supplies, created when the earth was formed. I love to share the ways my jewelry can uplift the wearer. 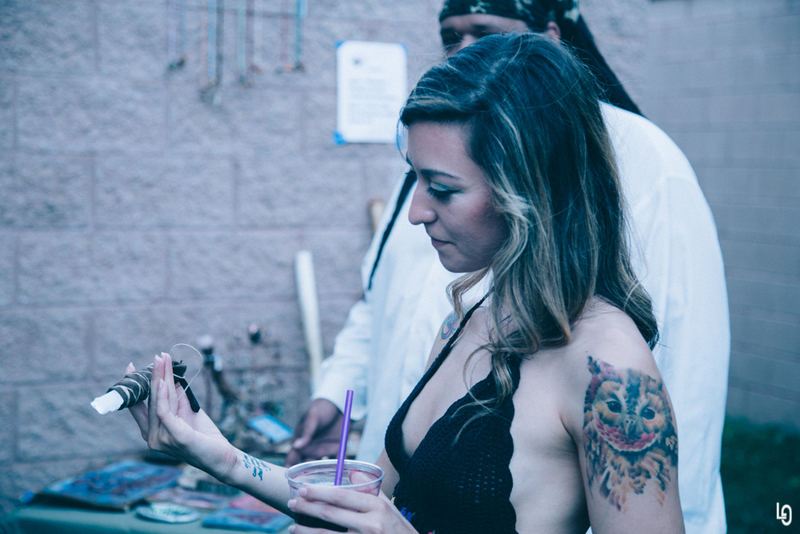 Crystals, gem stones, custom robes and cloaks, drinking horns, metaphysical supplies. Holistic healing & magic, Crystals and Gemstones, Handmade Jewelry, Crystalline Aroma Oils & Gypsy treasures.